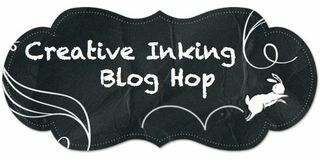 Welcome to the Creative Inking June Blog Hop! This month we are "showing off the pretties". The new catalog is chock full of wonderful new stamp sets, so making a decision of which set to use was very difficult. Since I love summer and the beach, I thought the set "Seaside Shore" was perfect for this "beginning of summer" hop. This set is also so fun! 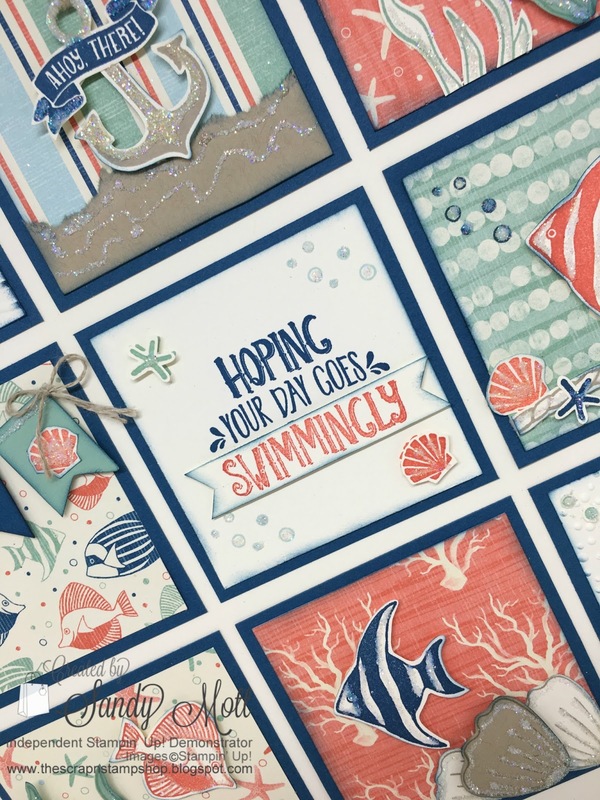 I made a seaside sampler and a card to go with it. It's always nice to have a gift handy. This project was a total fussy-cutting experience and certainly not for the weak scissored. There are no framelits or punches for this set, but I absolutely love that kind of challenge. 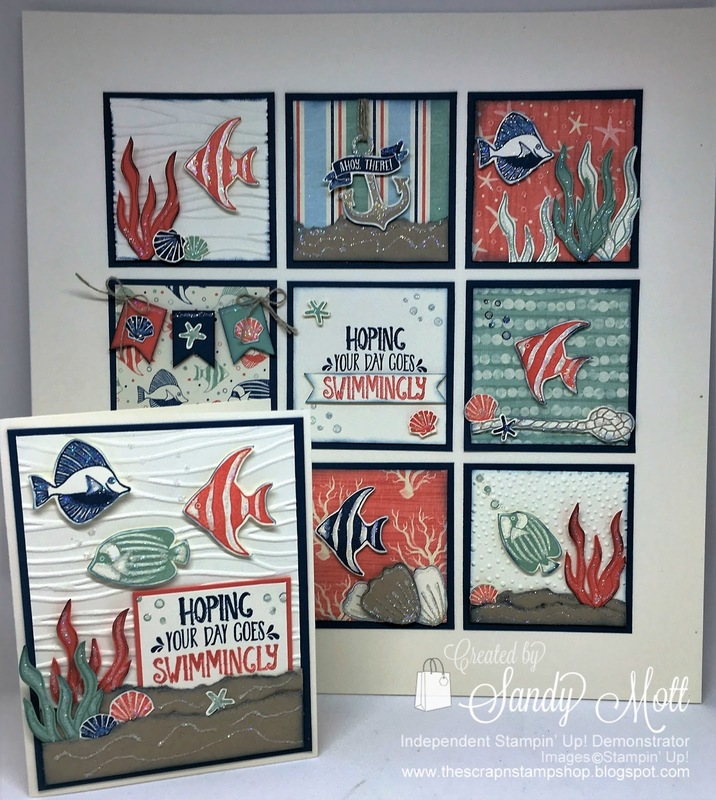 I used Dapper Denim, Calypso Coral and Mint Macaron inks throughout the project. The background is on a 12 x 12 sheet of Very Vanilla cardstock. Although difficult to tell in the pictures, I used my fine-tip glue pen and Dazzling Diamonds to make everything very sparkly. I used "By the Shore" Designer Series Paper and the "Seaside" Textured Embossing Folder for the background squares which are all mounted on 3" by 3" Dapper Denim cardstock squares. The inside squares measure 2 3/4" x 2 3/4". A complete list of supplies is located at the bottom of this post. And since my good friend mentioned that the petals from the "Bunch of Blossoms" stamp set looked like seashells, I added a few to the sampler in Very Vanilla and Crumb Cake. I followed the same format for my card, with torn pieces of Crumb Cake cardstock for the sand. I stamped and cut out starfish, shells, and sea grass/coral, and stuck them in the sand here and there. Here's the sampler together with my card. I hope you enjoyed my project. I'd love to hear from you. Now let's go see what the talented Lori Mueller has created. 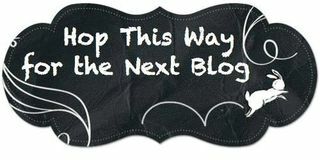 Click on "next blog" below to see her creation. And, by the way, I'm hoping your day goes swimmingly! Wow!! This is such a great home decor piece!! Perfect for summer! Thanks for sharing your beautiful art!! Oh Sandy! this is stunning! I can't imagine how long it took to fussy cut all those pieces... I didn't even notice there was a starfish in the bunch of blossoms set- off to add that to my next order. TFS!! Thank you Lynn! I had the blossoms set and never noticed that the petals looked like sea shells or the little flower (starfish) either if my friend hadn't pointed it out! OMG! Such an over-the-top project and card, Sandy! You are an incredible fussy cutter and designer!!! Thank you so much! Your comment is so appreciated! Sandy, I love samplers, and yours has to be one of the best I've ever seen. I am in love with all the details, the colour mix and the fussy cutting you've done to create this little masterpiece and your card. Luvin it! Thank you Penny! So appreciate your kind words! Fussy-cutting is one of my favorite things to do - even those who attend my classes are getting used to it! Wow, this is amazing. I envy those that are capable of fussy cutting. I am not good at it. You are incredible at it! Thanks Ang! There's a few tricks to fussy-cutting - a very sharp pair of scissors; and keep your scissors straight and turn your paper very slowly while you're cutting. Give it a try! I absolutely LOVE this home decor piece! Lovely and I appreciate all the work that went into it. It makes me feel like I am at the beach which I love! Thanks so much Phyllis! I'm also a beach lover! WOW!!!! I LOVE this! Thank you for sharing specifics on the frame. I think I am going to have yo make one!! 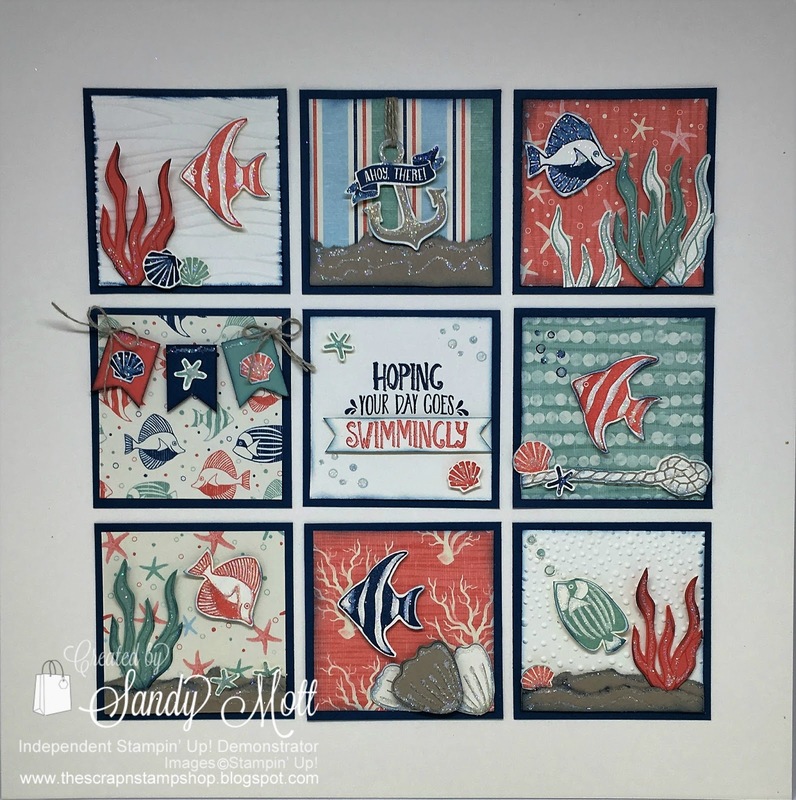 Sandy- I loved your project so much that I tried ordering the set.....it's on backorder! Darn! Thank you! Oh my, those pesky little backorders! It should arrive soon! What a lovely sampler, Sandy! These projects are gorgeous! 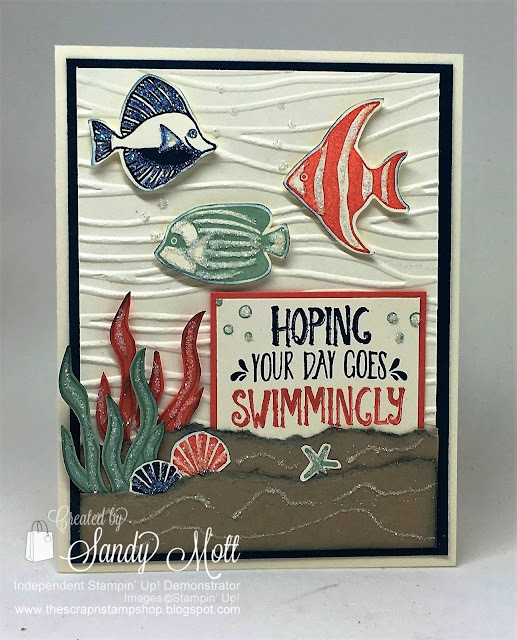 I would love to share this on my blog for 'My Crafty Friends Monday' (a round up of amazing cards from amazing stampers!)! 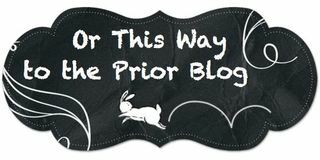 Please let me know if you would prefer that I didn't share it (of course I give you credit and link back to your blog!). Yes! I am honored and delighted! Thank you so much! Your creativity amazes me! You are so talented Sandy! Love your card and the seaside sampler!! Thank you Tonya! I so appreciate your kind words! Thank you Julie! Absolutely you can case it! It's so much fun to put together!